Georget captured the photo with a Pentax K-5 IIs and a 16-50mm f/2.8 lens. The settings were 18mm, f/4.0, ISO 400, and 1/125 of a second. Georget says he bracketed heavily when shooting because the contrast was so high, but the final image is a single exposure. 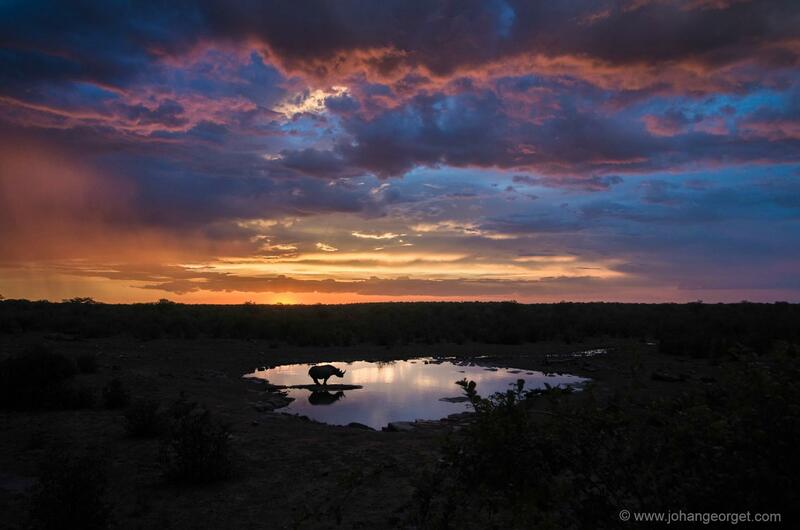 Fifty percent of print sales of the “Black Rhinoceros at Sunset” image will be donated to the SaveTheRhino.org.